Three shelf Economy Plastic Cart is versatile for audio visual, video, filing and food service purposes. Shelves feature 1/4" lip on three sides and one flat side for easy loading. Cart holds up to 200 lb. 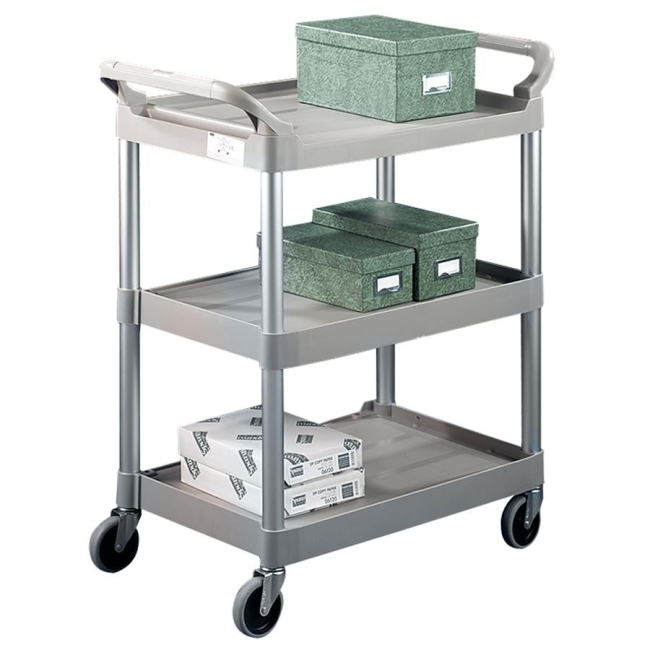 Maneuver cart easily with dual molded handles and 4" non-marking swivel casters.